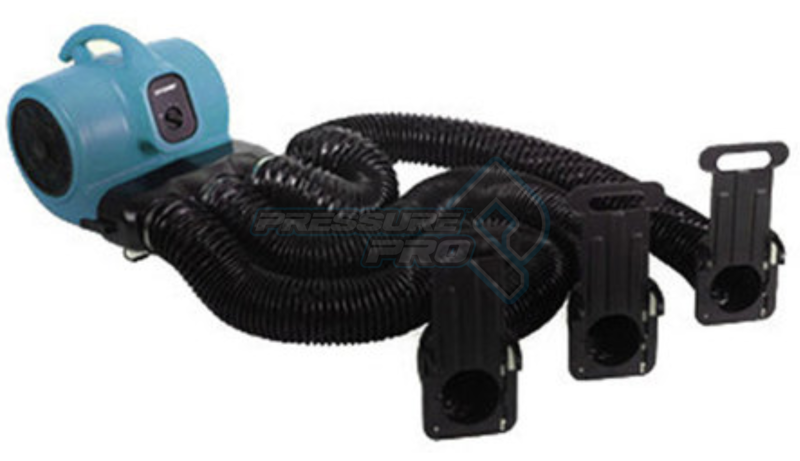 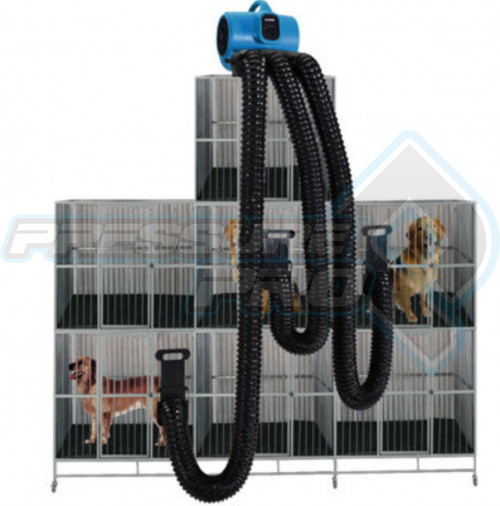 This X-POWER Multi Drying kit easily attaches to the X-400 series air mover and allows airflow to be directed in three different directions with adjustable air flow control gates at the end of each hose. 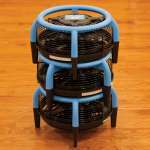 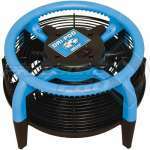 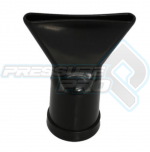 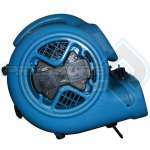 They can also be used in janitorial or restoration applications to direct air flow anywhere where positioning a blower is not possible. 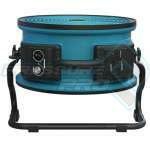 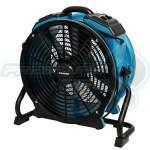 NOTE: This product does not come with the air mover pictured, and must be purchased seperately.